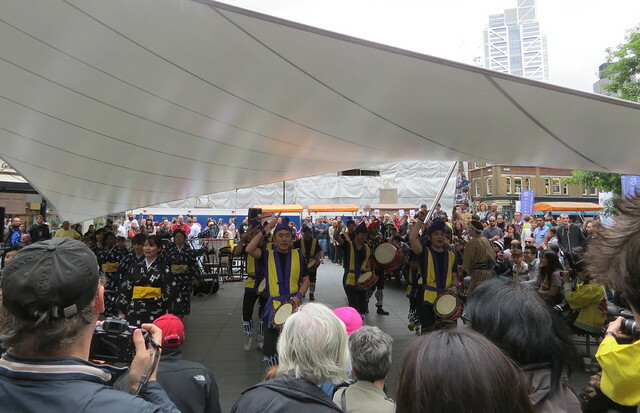 Last Saturday was Okinawa Day in London’s Spitalfields Market and, although the weather was far from tropical, the blast of Okinawan Culture certainly brightened up the day. I attended the event for work, so I won’t be giving a blow-by-blow photographic account of everything that happened as I usually do. If you want that, I recommend checking out Nihon in London’s post, which has some great photos and videos in it. 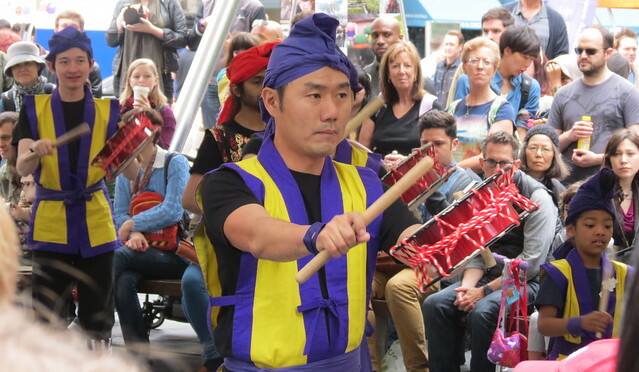 The event, which celebrates the culture of the Okinawan islands in the south of Japan, was largely the same as last year (read more about last year’s event here). But it was an enjoyable day, with some great music, dancing, entertainment and food. 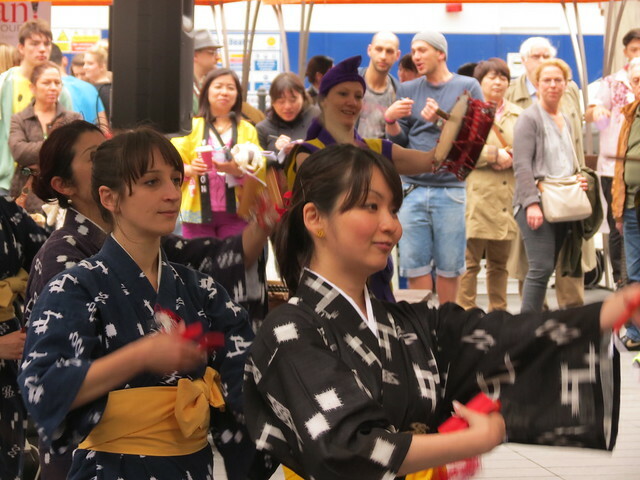 The stall I was working on was within view of the main stage area, so I got to sing along to the folk music and dance along with the eisa (エイサー) as I was working, which was pretty cool. I actually really enjoy Okinawan folk music, and find it quite infectious! Despite the wind and rain, I managed to keep glowing all day. Of course, the food helped to keep my spirits up! 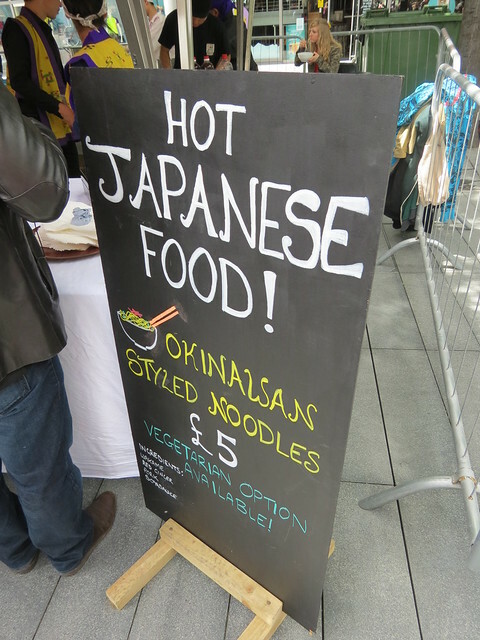 I was, unfortunately, working next to a stall selling ‘spam sushi’. All day I listened to “spam sushi, come and try some spam sushi!”, and I have to admit it didn’t look particularly appetising (but then, I don’t eat meat). What do you think? 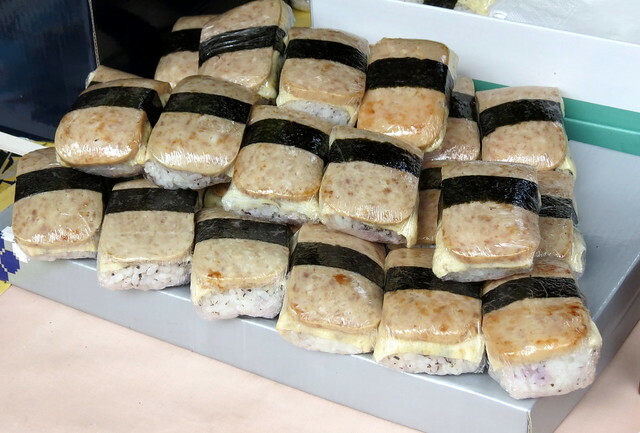 A lot of people were asking ‘why spam sushi?’, and the answer is that spam, whilst not particularly popular on mainland Japan, has become a popular ingredient in Okinawan cuisine. Apparently, outside of the US, Okinawa is the largest consumer of Spam in the world. 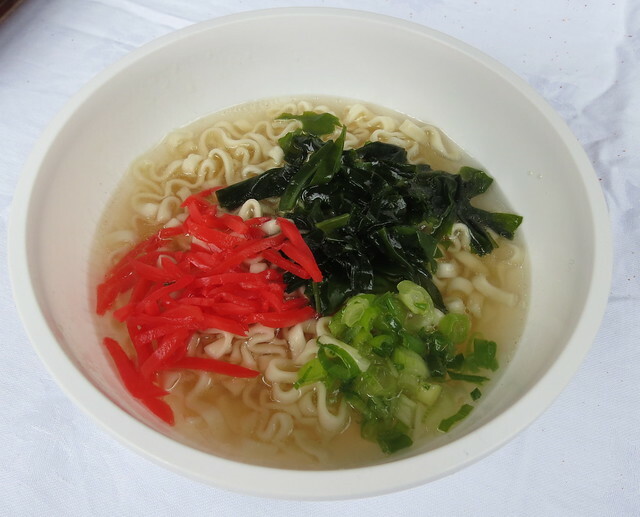 Spam was introduced to Okinawa by the US military, and it has since become part of the local cuisine, turning up in recipes such as chanpuru (チャンプルー). I also had a tasty Okinawan doughnut, but I’m afraid I ate it before I could think to take a photo! 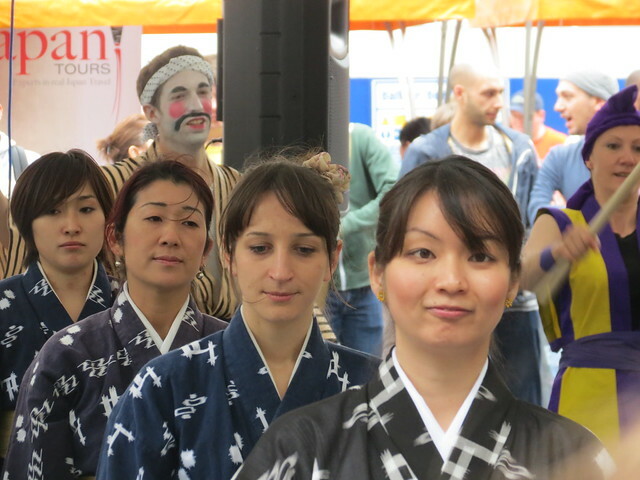 Okinawa Day is an interesting event, attracting a mixture of London’s Japanese community, non-Japanese who are interested in Japanese culture, and random passers-by who have no idea what’s going on but quite enjoy it when they get there. 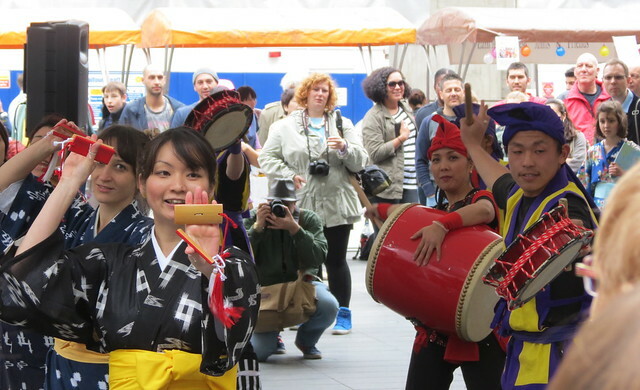 It’s one of London’s smaller Japanese culture events (much smaller than the Japan Matsuri or Hyper Japan), but because of that it has more of a feel of a local community festival, which I like. Thanks! They’re just snaps really. I didn’t spot you at first – does that mean I’m in your photos too?! Oh yeah, I got soem nice ones of you as always 🙂 I haven’t had the time to edit them yet, been swamped with work and other photo sets to sort through for other people. I will upload them soon!